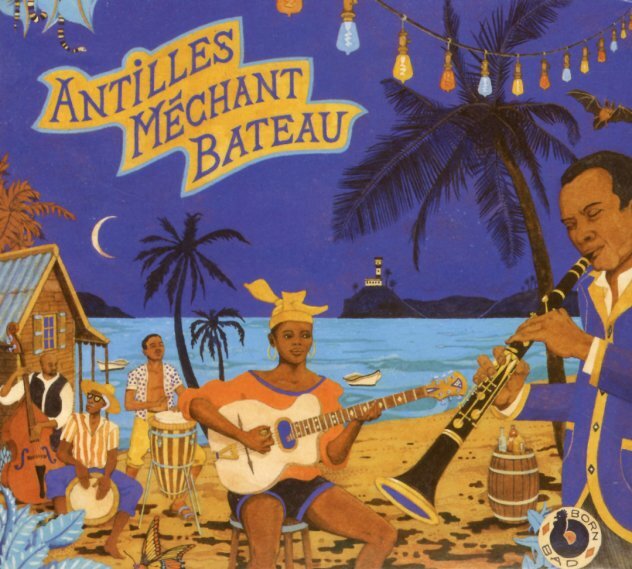 A fantastic collection of work from the French West Indies scene of the 60s – a package that features the unique blend of regional rhythms and jazz-based instrumentation that was bubbling strongly at the time! The styles here fall into a pair of different modes – biguine and gwo-ka – both of which were later picked up and experimented with on the Parisian scene, but which sound even more powerful here in these original recordings – fantastic tracks from rare singles and albums, pulled together in one of the most hard-hitting packages we've ever heard from the scene! There have been other biguine collections, and certainly more than a few to focus on other Antilles styles too – but this package really cuts to the quick, and seems to go for tracks that have a groove first, and history second – the kind of music that can appeal to any sort of ear with a love for heavy percussion and jazz. Titles include "Yo Ka Biguine" by Joseph Lacides, "Mam'Zelle Cancan" by Tino Saint Val, "Ki Vino" by Dolor & Ses Etoiles, "Antilles Mechant Bateau" by Mahy, "Ban Moin Cle A Titine" by Guy Conquete, "Bel Me A Present" by Gerard Valton, "Jeines Garcons" by Josiane St Louis, and "Menage Chalvire" by Casimir Letang. © 1996-2019, Dusty Groove, Inc.